In our society today, it is normal for 19-year-olds to spend most of their time at school. Sheffield Peabody, on the other hand, spent most of his time working in the fields; he recalls that “I was 11 years old when I left off going to school in the summer time.” It was only when winter arrived and the ground froze over that he could attend school with any regularity. Sheffield rarely describes in much detail what happens in the classroom—“I went to school” is his most common journal entry—but we can infer many other things. Above all, the life of a 19th-century teacher was incredibly difficult and contingent, as a rapid succession of names attests: Rebecca Remer, Mr. Anise, Mr. James, H. Barns, Mr. Rogers, Mr. Maring, Miss Doolittle. One teacher, Butler Morris, was married October 9 and then hired on October 10, 1849 at $18/month, began classes a month later (there were “43 scholars” of various ages), and by December 15 had “licked” a student because teachers provided their own security. A year later, Sheffield similarly records that “Mr. Morris had a time with Wesley Putnam” (17 Feb. 1851). Many of the contemporary politics concerning delinquent students, educational access, and funding have their roots in Sheffield’s time. Typically, a school district was comprised of families willing to fund a schoolhouse and a teacher; an assessment called a “rate bill” was based upon attendance. 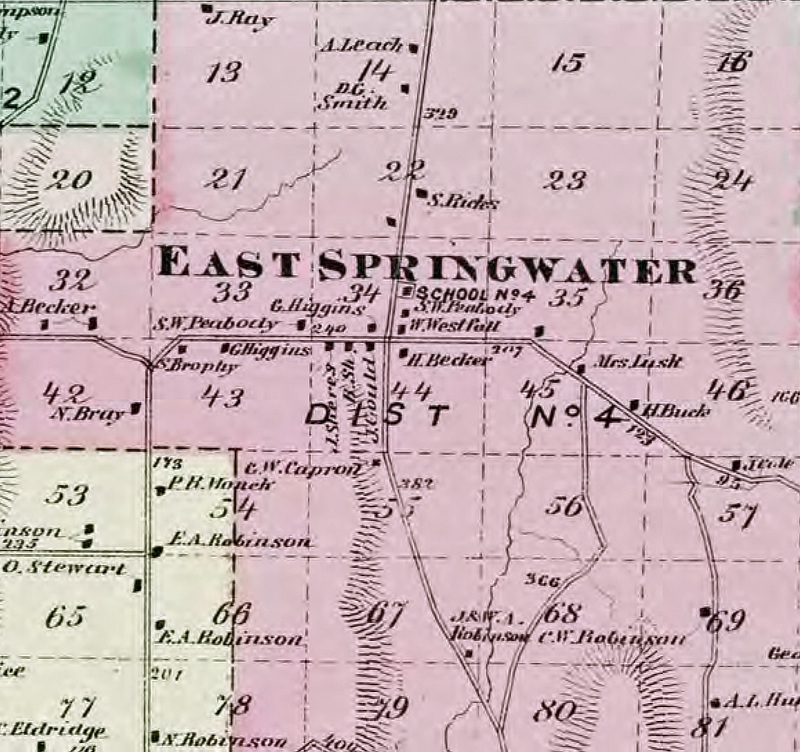 This meant that poor children could not afford school, and that rural communities like Springwater remained at the edge of financial viability. In 1849, a statewide referendum called the “Free School Bill” created universal education based upon a property tax, which was so unpopular among rural districts that a second referendum was held in 1850. Sheffield’s diary from 1850 records that his election district “went about 50 votes against free school,” but that the measure had passed statewide (5/27 Nov. 1850). Its support drew heavily from the larger cities, a rural/urban fracture we continue to see in contemporary education. What did Sheffield do at school? What subjects were his favorites? We know that he often mentions “spelling schools” both at home and at competitions hosted by other schools, and that he takes pride when he “spelled the school down”—much like modern spelling bees (1 Mar. 1850; 30 Mar. 1850). We know that he attended writing school on a couple of occasions, and that he really liked to attend singing school—an important part of his Christian Church culture. In this regard, it is important to understand that Sheffield’s schoolhouse was used not just for secular education: every Sunday he “went to meeting” there along with other members of his congregation. It appears that he last attended school in 1851, at the age of 21, and began the life of a full-time farmer.